- Measures: Inside diameter: 102x97cm External dimensions: Width: 118.5 cm Depth: 118.5 cm Height: 77 cm Weight: 850kg Oven’s door: W40cm x H33cm - 2 year guarantee! - Free Shipping! 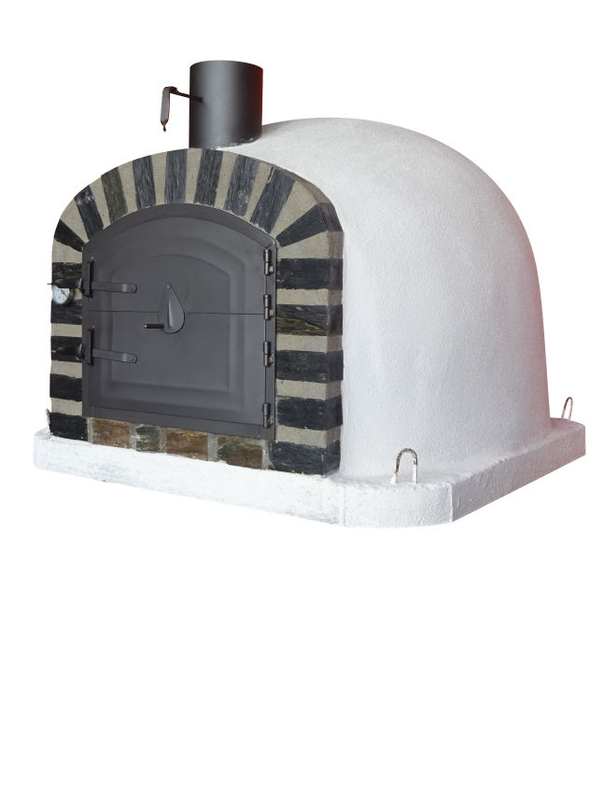 -The dome of this wood fired oven is a kind of Igloo type, this model is designed for all kindsof dishes: Pizzas, bread, roasts, cooked dishes, grills, and others. A great option in Wood Burning Fired Brick Pizza Oven - FAMOSI 120cm! Cook the pizza base for approximately 1 minute. Mix whipped cheese and coffee together. Top pizza base with (drained) raspberries. Drop cheese mix all over the raspberries (10 cent piece size). Crumble the Flake chocolate over the mixture.